Celebrating a Series: What is the Future of the Mass Effect Series? We’ve got another Celebrating a Series, and this time, we’re traveling to the far reaches of the Milky Way (or maybe Andromeda?) to take a look at BioWare’s iconic Mass Effect series. Now, we very likely won’t see a new Mass Effect game for quite some time, considering BioWare just released Anthem. In addition, Dragon Age 4 has already been confirmed. However, that means its the perfect time to speculate on the future of Mass Effect, as its primed for a big comeback after Mass Effect Andromeda missed the mark for many. Speaking of Andromeda, Mass Effect as a series is in an interesting position. While the original trilogy is beloved and hugely influential, Andromeda was deemed a disappointment by many (apparently even EA). As such, the series is currently on hold, but there’s no way we won’t see another Mass Effect game. 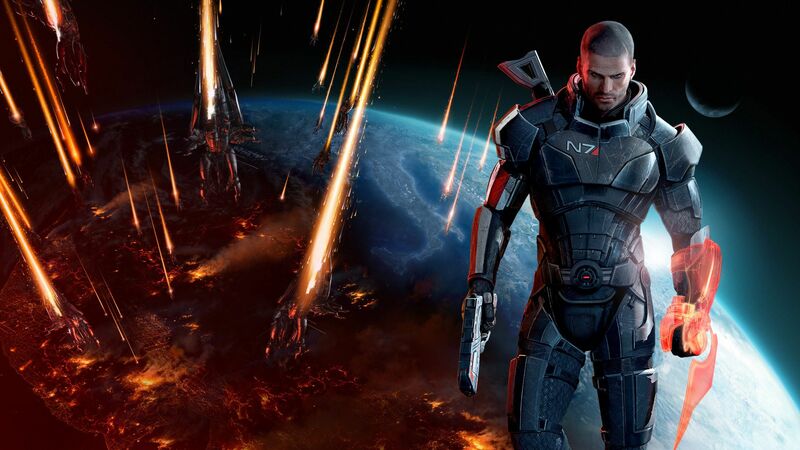 Heck, Casey Hudson himself all but confirmed we’ll see Mass Effect again in the future. But the question, is where do we go from here? Well, let’s get into our ship, find the nearest Mass Relay, and venture forth. Would this be Mass Effect 5 or Mass Effect 4? The tricky part in figuring out what the next Mass Effect game is, well, figuring out what the next Mass Effect game is. The presumed route circa 2017 would be an Andromeda sequel. However, following that game’s launch, that’s not so clear. BioWare certainly had the right idea with Andromeda. Since the ending of Mass Effect 3 can vary from player to player, the best course of option really was to set it as far away from the Milky Way as possible. Unfortunately, the execution is where things fell apart. With the tarnished reputation Andromeda has, it’s entirely possible to see BioWare change course and veer back to the Milky Way. It’s even likely, in fact. It could certainly be a way to bring back fans who were turned off form the series after Mass Effect Andromeda, for one thing (those who were turned off by Mass Effect’s 3 ending maybe not so much). The Quarians were missed in Mass Effect: Andromeda. Ultimately, I would rather see Mass Effect return to the Andromeda Galaxy, controversial as it may be. However, there’s a very real chance we’ll make a return trip to the Milky Way, and see those familiar sights. Head back to the Citadel, catch up with some races that weren’t present in Andromeda (like the Quarians and the Drell). However, returning to the Milky Way would present some potential narrative issues, issues that would need to be addressed right away. Let’s set the ending controversy surrounding Mass Effect 3 aside for a moment. That still leaves three completely different endings one could have gotten. Determining the fate of the Reapers also means determining the fate of the galaxy. There could have been three potential states to leave the galaxy in, all three being completely different from one another. Of course, BioWare could simply pull a Dragon Age and have players fill out a questionnaire that determines what state the world is in. However, it’s not as simple as that. Unlike Dragon Age, where the only choices that really matter are the decisions previous protagonists made, these decisions literally change the fate of the galaxy. I can’t claim to be a game developer, but I’d imagine it would be a little difficult to make three completely different galaxies in a single game. Probably too difficult for any developer to realistically engage in. That’s why I propose a future Mass Effect game, if we must return to the Milky Way, set it as far as possible from the original trilogy, either in the future or in the past. True, the future has the potential to present the same problems, but set it far enough ahead, and you could work your way out of it. Setting it in the past, however, presents some even more lucrative creative potential. We’ve heard a lot about humans’ first contact with aliens in the Mass Effect series. We know things got violent, with the First Contact War between humans and Turians lasting months. However, actually setting a Mass Effect game within this time would be immediately compelling. The Citadel races are still slightly skeptical of humans during Mass Effect, but setting it in this time period could present a situation where humans aren’t even trusted. In Mass Effect, humans have a rapid rise through the Citadel ranks, but when they first discovered the station, they were at the bottom of the food chain. What would an Elcor think of the first human it sees? Would the Asari act diplomatic towards them? Not only would it be somewhat humorous to see the evolution of these interspecies relationships, it would also provide greater history and world-building. In addition, it would be fascinating to how humans fare, equipment-wise. Obviously, as this is the first time they have made contact with other races, the technology wouldn’t be as advanced as the council races. 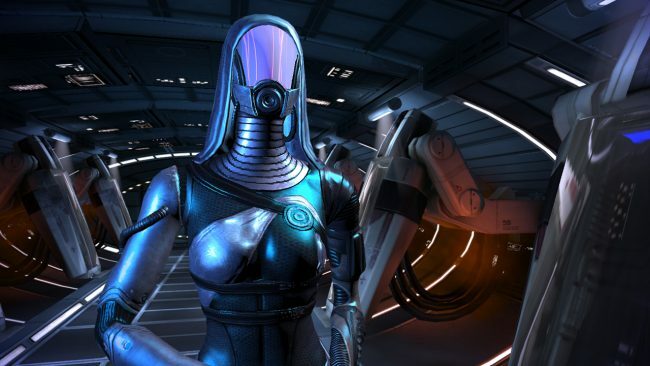 It would certainly create an interesting contrast to the original Mass Effect trilogy, as humans very clearly had access to more advanced technology. Plus, we won’t have to deal with the potential headaches that come with having to reconcile with the Mass Effect 3 ending. So, why not set it before Mass Effect? It would be far enough to not contradict any player choice, and still feel fresh, while also close enough to the trilogy that it will still have an air of familiarity. But Really, Why Not Return to Andromeda? Seriously, I think a return visit to Mass Effect Andromeda could be worthwhile. Sure, there are some fundamental problems (like a lack of new races) that a new game simply can’t fix. However, there still is a potential franchise underneath the shaky foundation of Andromeda. And if nothing else, it can be set a significant period after the first Andromeda, in essence giving the series yet another chance to start fresh. Plus, giving players enough space between the 2017 release may give them a chance to cool off and look at a new entry with fresh eyes. Unfortunately, I don’t know if anyone can see that happening. Even if we don’t return to the Andromeda Galaxy, the Mass Effect universe is one that’s rich, diverse, and ready to be explored. Not only are there decades of history to tap into, the future is almost limitless (if complicated). 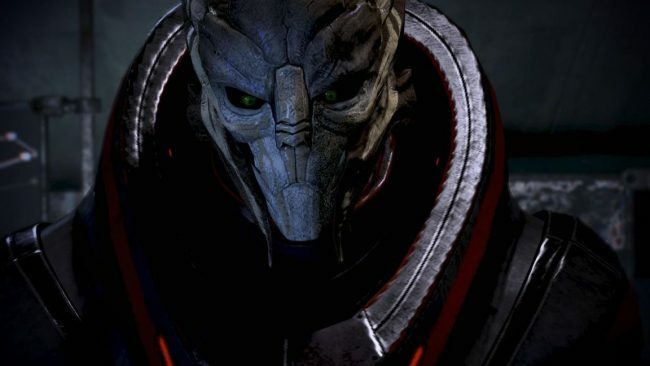 Mass Effect may have been in a bit of a slump, and the future of BioWare is murky, at best. However, things could be bright once again. What would you want to see out of a future Mass Effect game? Would you want to see a trip to the past? What about a return to Andromeda? Let us know!